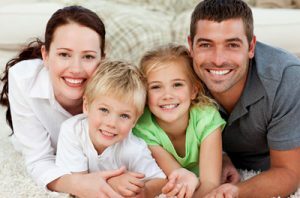 Searching for the dental practice that is right for you and your family can be difficult. Finding the right combination of skills, technology, and location often means having to compromise, or worse yet, delaying much-needed care. Fortunately, if you live in or near Central Arkansas, your search is over! With four highly educated and experienced dentists, Central Dental offers you a wide selection of dental services. We can provide many treatments, from oral surgery to dentures, and much more. Our doctors, Dr. Todd Stewart, Dr. Edward Passini, Dr. E. Kyle Dalton, Dr. Ethan Ake, Dr. Wesley Buchman, Dr. Sami Nazim, and the rest of the Central Dental team proudly work with the latest technology to provide you with higher quality dental care than any other dentists in Arkansas. We understand that dental visits can be a source of apprehension for many people, and that is why we do our very best to make your experience as comfortable and pleasant as possible. We want our patients to be happy and healthy, and that means we want them to feel good about their dental visits. Our dentists and staff are trained to provide you with compassionate, comprehensive care. You can also find all of our new patient paperwork conveniently located on our website! With two offices in Little Rock and Conway, and our sister location, Kidz Choice Dental, in Conway and Fort Smith, we offer convenience and years of expertise to anyone looking for a dentist in Central Arkansas. Call us today or fill out our contact form below!